One of the reasons that a lot of people buy wearables is for the health monitoring features they offer. Not only can they help users get fitter, they can even save lives – as was thecase recently when a Canadian man’s Apple Watch showed he was having a heart attack. Now, it’s been announced that the health benefits of Apple’s wearable are about to become even greater, as the device will be able to tell the wearer if they are at risk of having a stroke. Thanks to a first of its kind, medical-grade band called Kardia. 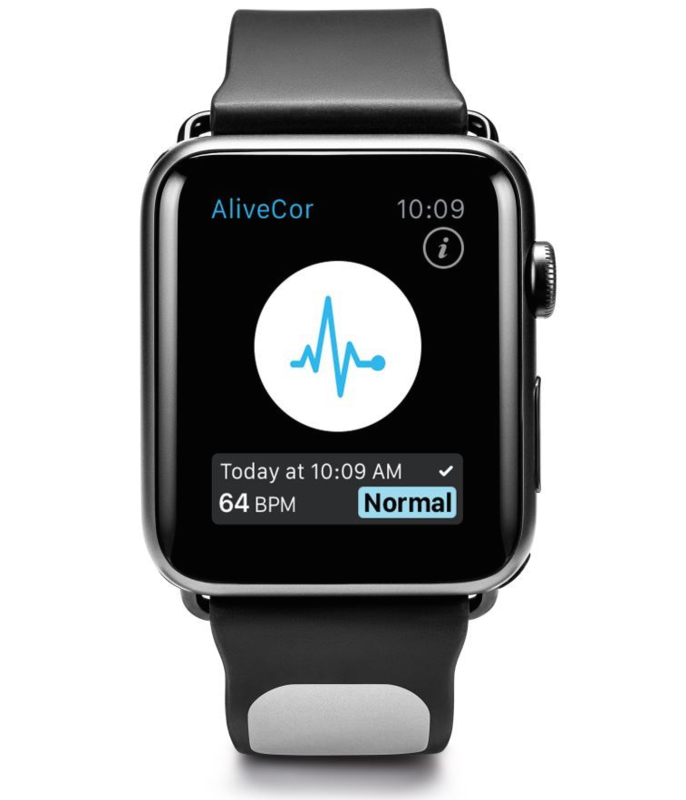 Developed by San Francisco-based AliveCor, the Kardia band can detect atrial fibrillation – a leading cause of strokes – and instantly alert the wearer. Users will be able to take and record an ECG reading by simply pressing a sensor on the Kardia Band Strap, where it is analyzed by the accompanying app to detect any abnormalities. The band can communicate the results directly to a user’s doctor through Kardia’s free Provider Dashboard. It will also be possible to add voice notes alongside the readings, as a way of alerting doctors that a high reading may have been due to strenuous activity, rather than it indicating something serious. The Kardia app, available for download now, will link to Apple’s Health app in order to give an overall picture of the user’s health. AliveCor already makes an FDA-approved Kardia ECG monitor that can be used with a smartphone, but this is the company’s first entry into the wearables market. There’s no word yet on when the band will be released in the US or how much it will cost, but it will be available in Europe in the next two months for around 200 Euros ($221.60).